From the moment we step into your facility to the final end of life of your materials, our number one concern is your company’s protection and security. Legacy’s procedures, polices, and processes are developed to protect our customers from any possible security risk. Our customers know they are safe with us. Legacy takes our customers security seriously. From pad-locking our trucks to only working with downstream refineries that are R2 Certified. We maintain chain of custody through the entire end of life process. a Certificate of Destruction (COD). This not only covers your sensitive data but all electronics you wish to have recycled through us. How Legacy Protects You And Our Environment! 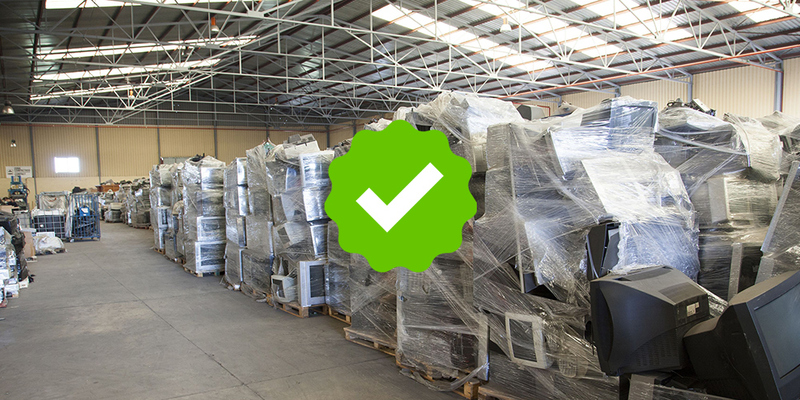 Legacy Recycling takes the work out of scraping electronics and other misc. metal. They are fast, friendly and most important they are affordable. Sometimes they even pay you for your scrap. Dealing with Legacy is always a pleasure. Legacy Recycling continue to provide great customer service! No complaints from our end. It is good to have folks we can rely on. We will be scheduling another pickup soon. It’s easy to do business with Legacy Recycling and their team. Do you need help with your e-Waste?